Toronto Marlies was eliminated at round 1 of year 16. 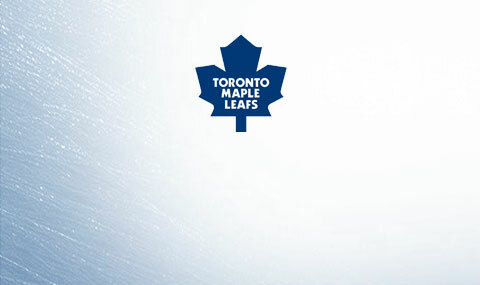 Maple Leafs didn\'t make playoff for year 16. TRADE : From Maple Leafs to Islanders : Jarret Stoll (64). TRADE : From Maple Leafs to Red Wings : Mark Stuart (66). Mike Green was added to Maple Leafs. [23.04.2017 22:32:03] - Toronto Marlies was eliminated at round 1 of year 16. [11.04.2017 23:57:17] - Maple Leafs didn\'t make playoff for year 16. [21.02.2017 0:01:06] - Mike Green was added to Maple Leafs. [29.12.2016 22:31:24] - TRADE : From Maple Leafs to Red Wings : Antoine Vermette (68). [29.12.2016 22:31:24] - TRADE : From Red Wings to Maple Leafs : Y:17-RND:3-DET. [12.01.2017 0:48:43] - TRADE : From Maple Leafs to Islanders : Jarret Stoll (64). [08.02.2017 22:04:58] - TRADE : From Maple Leafs to Red Wings : Mark Stuart (66). [21.02.2017 0:01:08] - TRADE : From Maple Leafs to Ducks : Y:17-RND:4-ANA. [21.02.2017 0:01:08] - TRADE : From Ducks to Maple Leafs : Mike Green (67). [21.02.2017 0:01:53] - TRADE : From Maple Leafs to Canucks : Alex Tanguay (67). [21.02.2017 0:01:53] - TRADE : From Canucks to Maple Leafs : Y:17-RND:5-VAN. [25.02.2017 0:48:13] - TRADE : From Sharks to Maple Leafs : 1 000 Kč (Money). [25.02.2017 0:48:13] - TRADE : From Maple Leafs to Sharks : Joe Stejskal (51)- Jonathan Carlsson (51)- Nathan Moon (52)- Tyler Shattock (51)- Radolav Illo (P). [27.02.2017 23:16:16] - TRADE : From Maple Leafs to Canucks : Brad Stuart (65). [27.02.2017 23:16:16] - TRADE : From Canucks to Maple Leafs : Y:18-RND:6-VAN. [25. 10. 2016 22:32:41] - Unknown Player is no longer as assistant for Maple Leafs. [25. 10. 2016 22:32:41] - Alex Tanguay has been selected as captain for Maple Leafs. [25. 10. 2016 22:32:41] - Unknown Player is no longer captain for Maple Leafs. [25. 10. 2016 0:14:12] - Sam Steel has been added to Maple Leafs. [25. 10. 2016 0:14:12] - Julien Gauthier has been added to Maple Leafs. [25. 10. 2016 0:14:12] - Jake Bean has been added to Maple Leafs. [25. 10. 2016 22:32:41] - Mark Stuart has been selected as assistant for Maple Leafs. [25. 10. 2016 22:32:41] - Unknown Player is no longer captain for Toronto Marlies. [25. 10. 2016 22:32:41] - Kyle Chipchura has been selected as captain for Toronto Marlies. [1. 11. 2016 0:53:38] - Joel Eriksson Ek was added to Maple Leafs. [1. 11. 2016 0:52:17] - Mitchell Marner was added to Maple Leafs. [1. 11. 2016 0:51:10] - Christian Dvorak was added to Maple Leafs. [25. 10. 2016 22:32:41] - Cody Bass has been selected as assistant for Toronto Marlies. [25. 10. 2016 22:32:41] - Unknown Player is no longer as assistant for Toronto Marlies. [24. 10. 2016 0:47:46] - Nikita Zaitsev has been added to Maple Leafs.